Maersk Supply Services A/S has placed an order for six SALT 200 AHTS vessels at Kleven Yard in Ulsteinvik, Norway. The contract includes an option for four additional vessels. 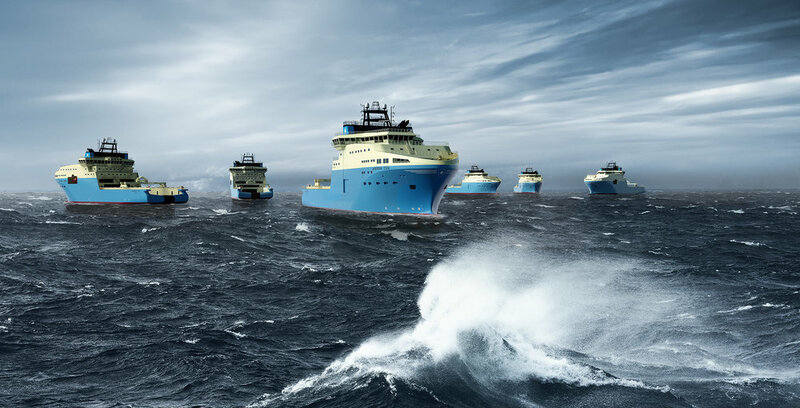 These vessels are following Maersk plan for fleet renewal and Salt Ship Design has been working closely with Maersk for quite some time to develop the new Anchor Handler design. Delivery of the first vessel will take place the last quarter 2016. Maersk Supply Service, a part of the shipping and oil and gas giant Maersk, is a leading provider of global offshore marine services. The company serves the offshore industry with a fleet of over 60 vessels worldwide.